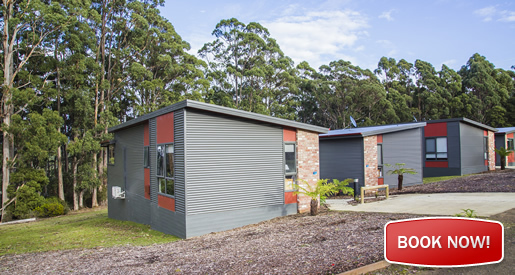 Located on the Tasman Peninsula, less that 1 1/2 half hours drive from Hobart, NMRA Port Arthur Holiday Park is located close to iconic tourist attractions including the Port Arthur Historic Site. The park offers a range of accommodation including studio, one and two bedroom cabins, safari tents, a group bunkhouse, as well as ensuite, powered and unpowered sites. 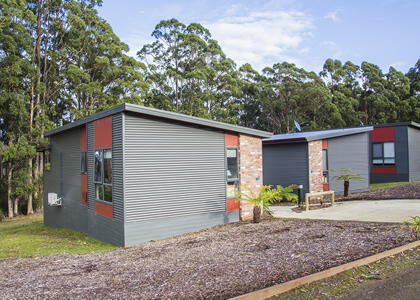 The NMRA Port Arthur Holiday Park features modern amenities, a children's playground, camper's kitchen, pump track and pizza oven. 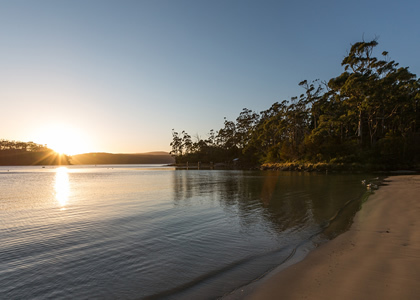 Visitors to this area can hike the Three Capes Track, visit the Historic Site (walking distance from the park), cruise the Tasman Peninsula, visit nearby cafes and restaurants, taste whisky at the local Port Arthur whisky distillery, visit a chocolate factory and a famed Lavender Farm. The NMRA Port Arthur Holiday Park is set on app. 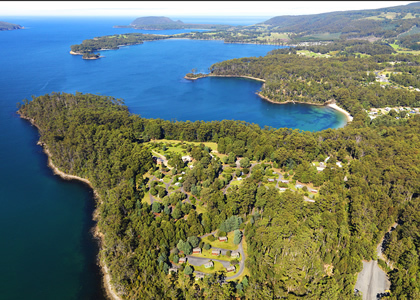 40 acres of natural bush at Garden Point Port Arthur. It is bordered by the ocean on three sides. 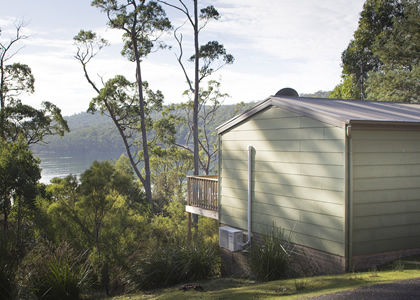 Standard cabins sleep up to five people and the deluxe waterfront cabins, which have private balconies, sleep up to six persons. 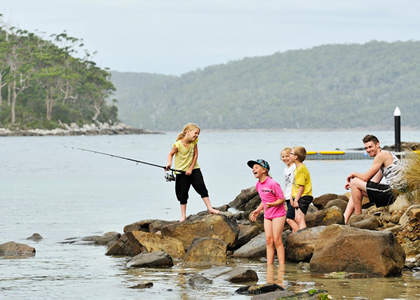 The Port Arthur Holiday Park offers powered, level campsites with trees for added privacy. Some sites have also have private ensuites and most are drive-through, have fresh water and fireplaces. 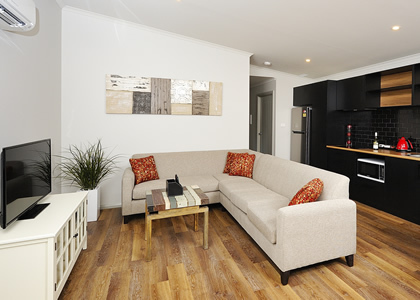 The park also has a bunkhouse which can accommodate up to 72 guests with a fully-equipped kitchen. 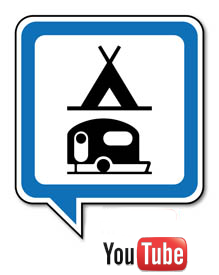 Recommended caravan park Tasmania.